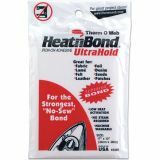 Heat'n Bond Ultra Hold Iron-On Adhesive - THERM O WEB-Heat 'n Bond Ultra Hold Iron-On Adhesive. This adhesive is a paper backed sheet of solid heat activated adhesive. It uses a low temperature and short pressing time so it allows for a wider range of materials that can be bonded. There is no steam or pressing cloth needed. Will not lift or pucker after washing. 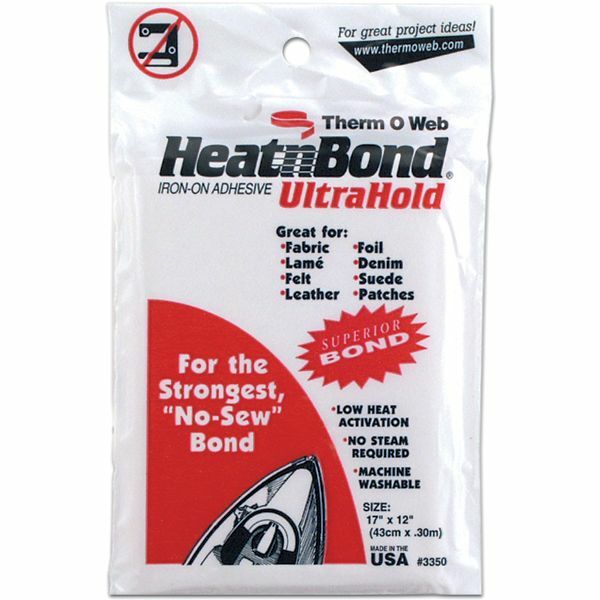 Its no-sew bond is three times stronger than any other traditional fusible web. This package contains one 12x17in adhesive. Made in USA.